The eyes continue to develop during childhood. The majority of children at birth are long sighted (hypermetropic) which, if within normal limits, will correct itself as the child matures. However if a refractive error is not properly corrected there is a risk of permanently poor vision. Children’s eyes, as well as their visual needs, differ from those of adults in a number of important ways. A child’s immature visual system is more prone to irreversible damage. It is therefore important to have your child regularly assessed by a registered optical professional. uncorrected refractive error (short sightedness [myopia], long sightedness and astigmatism) are the most common. They are also all related. If a child has a squint, or if one eye has a significantly different refractive from the other, this will lead, if uncorrected, to a lazy eye. The less dominant eye is effectively “switched off” and does not develop properly. The child accommodates to use the eye which is least long-sighted which leaves the other eye with reduced visual acuity. A child’s visual system develops over the first seven years of their life. Amblyopia is best treated before the age of four but continued improvement can be made up to the age of seven; after this critical period perfect vision is difficult to achieve. Amblyopia and squints (strabismus) are evident by the age of four and may be detected by the parent, health visitor or a teacher, but if they are not picked up and if a child has an uncorrected refractive error it will impact on the child’s ability to perform well at school. It may also hinder the child in later life to enter certain professions where good eyesight is a prime requirement. 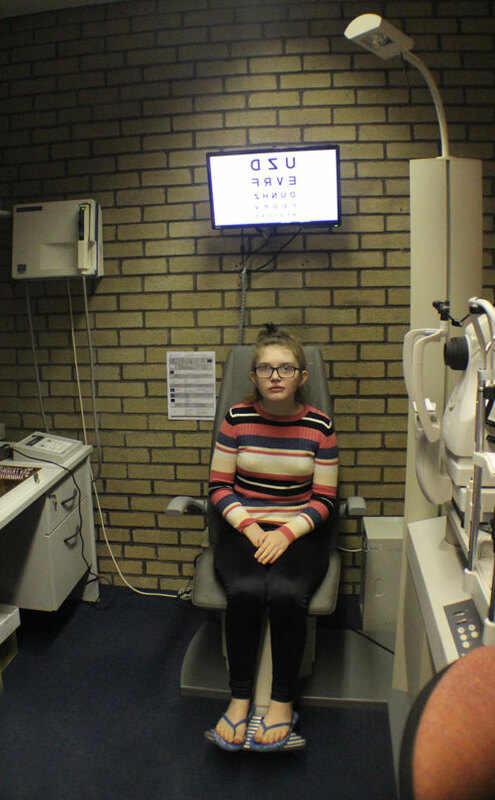 In the UK all children under-16 and those under-19 and in full-time education qualify for a free NHS-funded sight test. Remarkably only 22 per cent of under-16s have ever had a sight test. A dispensing optician can ensure children’s spectacles fit properly, look great and provide the best vision possible and there’s a wide variety of attractive children's frames to choose from. Many children, especially those who participate in a sport or those entering their teenage years can also opt to wear contact lenses.